We all know that acne is one of the worst enemies of your complexion. For anyone who has any degree of acne, using a real acne solution to keep skin clear is the first step towards a clear complexion. Even when you have eliminated the signs of acne from your face, there are still things that can cause your complexion to be less than perfect. Skin comes into contact with all types of irritants during the course of a normal day, often causing your complexion to look dull. If your idea of a perfect complexion is one that is blemish-free, bright, and dewy, it might take more than the best acne solution to get the good looks you want. Sunspots can occur from exposure to sunlight, and dryness from indoor heat can make skin look tired and dry, as well. One of the best methods for improving the appearance of your skin is exfoliation. As skin cells die and dry up, exfoliating products can be used to gently scrub them away. This leaves the fresh new skin underneath exposed to the environment and to the people you want to see you in your best light. 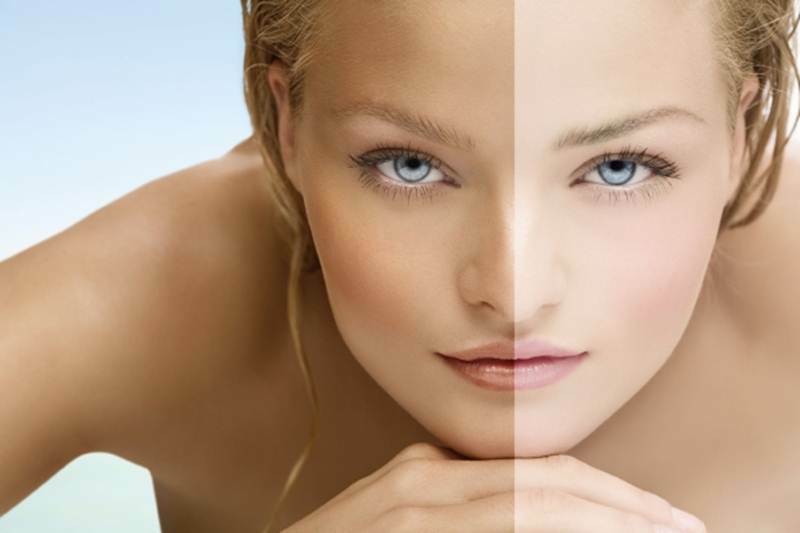 There are a number of skin lighteners on the market that are made to lighten age spots. However, even those that are prescription strength lack the power to make significant spots disappear for good. Another alternative that may work better is laser or light therapy. Lack of moisture also contributes to a dull complexion. Not only do you need to moisturize skin on the outside with a moisturizer that is right for your skin type, you also need to moisturize from the inside by drinking adequate amounts of water each day. The best acne solution is one that eliminates existing acne and continues to stop breakouts through continued use for maintenance. To treat or prevent recurrences of blemished skin, contact Clearogen at 877-30-CLEAR to place your order.